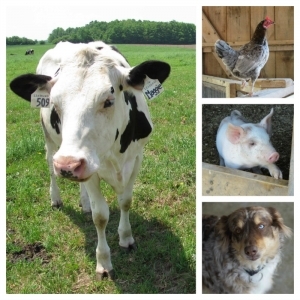 Mapleton's Organic provides healthy, local, and environmentally sustainable products produced in their on-farm dairy. Family owned and operated, the farm and its products are certified organic by ECOCERT Canada. 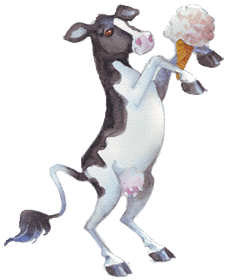 Mapleton's is especially known for their organic ice cream which is sold nationally across Canada. Located near Palmerston, Ontario the farm is approximately 45 minutes northwest of Kitchener-Waterloo and 40 minutes northwest of Guelph. Job descriptions and information on how to apply are noted below. Mapleton's Organic is currently looking for a flexible and motivated worker for the dairy processing plant. Immediately starting at 3-4 days per week, approx. 30 hours per week. Hours will vary depending on the season. Applicants must be available Monday to Friday. • Has the ability to lift up to 25 lbs. • Is willing to do repetitive work. • Previous experience in a food processing role is preferred, but not required. There is also the possibility of additional hours on weekends to assist with customer service / scooping in the Farm Store and at regional events. Mapleton's Organic is currently looking for a Plant Manager for our on-site Dairy processing facility. From raw milk to final product, the successful candidate will have full responsibility for the day to day operations of the processing plant – including processing, record keeping and staff management. • Manage production activities in the dairy plant. • Manage inventory control and ingredient procurement. • Ensure a high level of quality control and product consistency. • Ability to troubleshoot / adjust work plans as needed. • Manage health & safety protocols. • Work co-operatively with staff from other areas such as accounting, the farm store and farm. • Maintain excellent records for internal purposes as well as for CFIA and EcoCert organic certification. • Ready and willing to complete more basic tasks as needed. Ie. Making boxes, housekeeping etc. • Minimum of 2 years' experience in food processing. • Minimum of 1 year supervisory or management experience. • Strong team player with high level of initiative. • A problem solver. Sometimes the unexpected happens and work schedules need to be adjusted. • Familiarity with CFIA regulations. • Ability to lift up to 25 lbs. This is a full time position with some schedule flexibility to do a 4 day work week. Availability Monday, Tuesday and Wednesday mandatory. Option 2 – Email a resume to info@mapletonsorganic.ca - In subject line please indicate "Application - [position you are applying for - Plant Manager / Food Production Worker] - [your first and last name]". Option 3 – Apply via Indeed at this link. *We thank everyone who applies for their interest and applications. Only those selected for an interview will be contacted. Interviews will begin immediately.